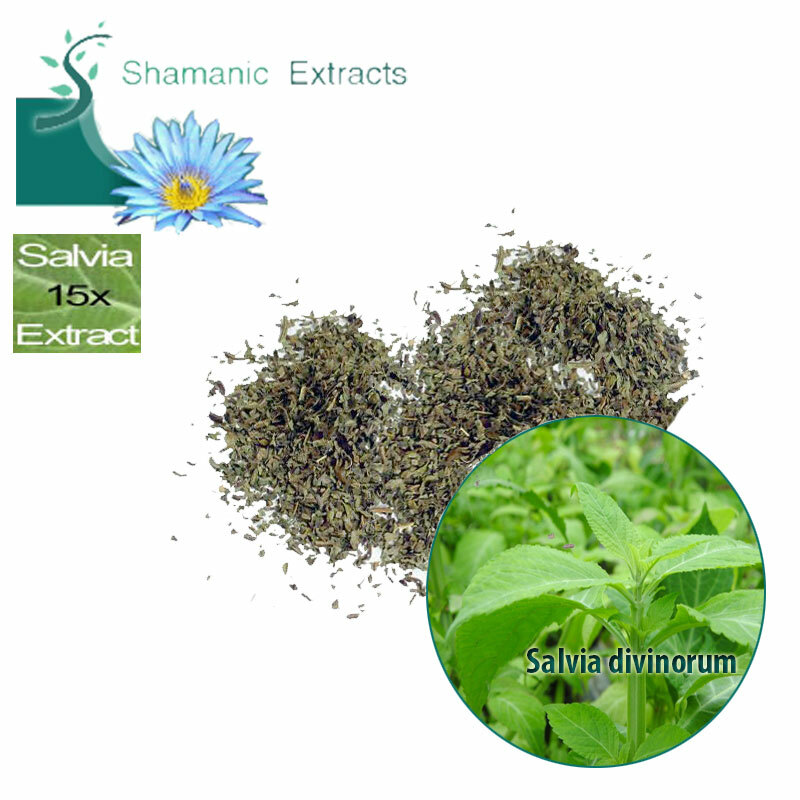 The highest quality Salvia divinorum extract available today - Fresh from our Laboratories and shipped immediately! This extremely concentrated product is 15 times (or 1500%) more concentrated than plain leaf and is made using pure salvinorin A. Made by extracting and purifying salvinorin A and placing a precise amount of this purified chemical onto tiny flakes of Salvia leaves, this product contains a consistent quantity of 37,5 mg. of pure salvinorin-A per gram of 15X enhanced leaf. Salvia divinorum originated in the Oaxaca region of Mexico and has been cultivated and used for centuries by the Mazatec people for healing and religious ceremonies. It is a powerful visionary herb, or "teacher plant", in shamanistic terms. Share your experience about SALVIA 15X with other customers. Submit your tips or thought on this product, be detailed and specific.